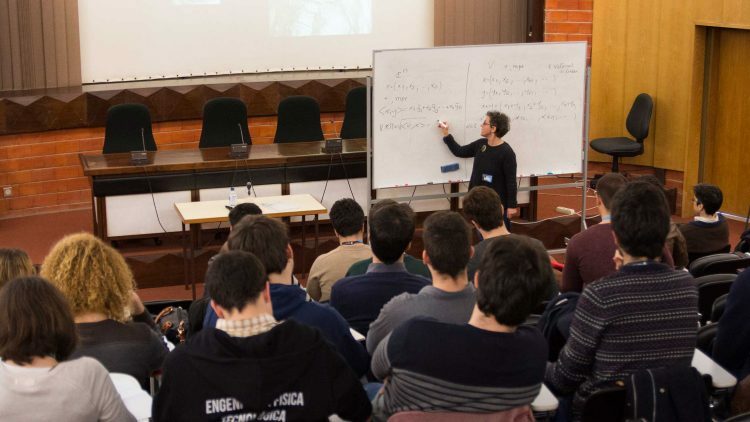 Another edition of Mathematics Winter School took place at Abreu Faro amphitheatre. 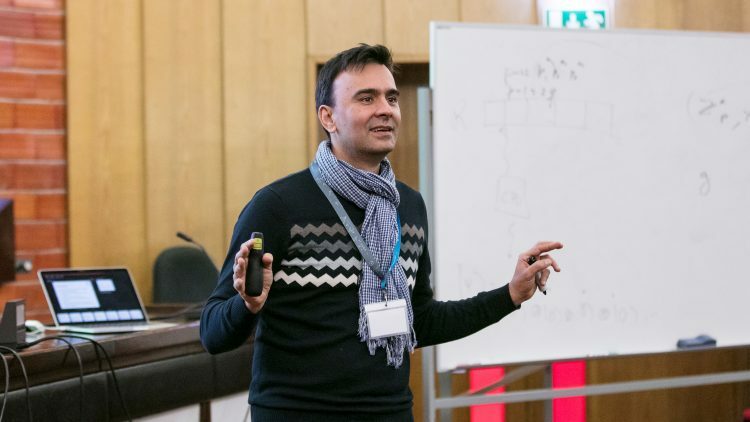 The 11th edition of Mathematics Winter School (EIM2019), organised by the Department of Mathematics at IST(DMIST), took place from 6th to 8th February and brought together participants, professors and alumni. Ana Carolina Martins, Applied Mathematics MSc alumna and Deloitte consultant, gave a lecture and inspired the participants. She shared her experience as a Técnico student and the several challenges she faced. “A MSc thesis with a practical application, like mine, help us to enter the labour market”, she said. 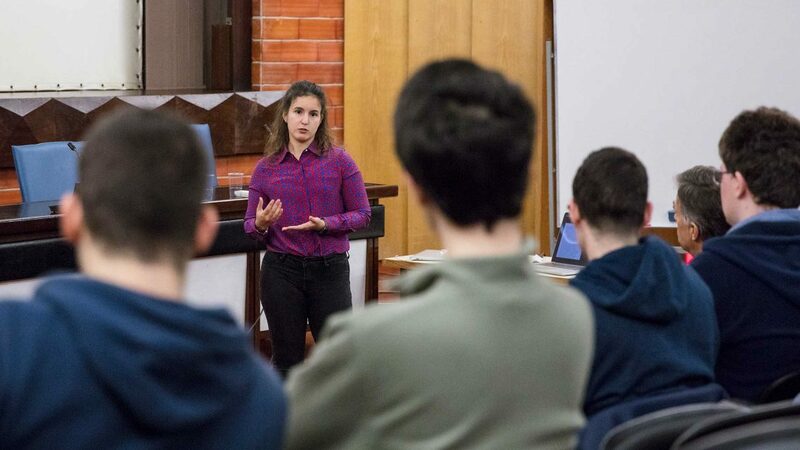 According to Dora Lourenço, student of Information Systems and Computer Engineering: “I am highly interested about these topics. I attended last year’s edition and it was worth it”. “I think that, this year, lectures are focused on specific topics. But nevertheless this is a great opportunity to learn more”, said the student. 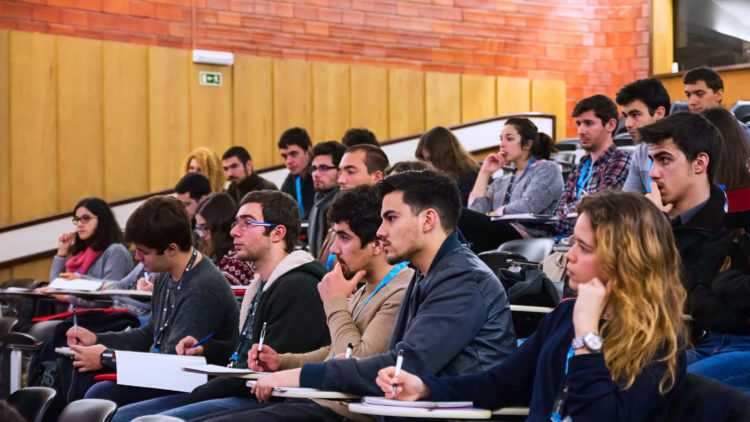 During three days, the participants had the opportunity to learn more about a wide range of topics, such as: cluster analysis, anomaly detection for symbolic sequences, hybrid computing complexity, the use of mathematical models in medicine and to participate in an activity organised by the mathematics student group (NMATH) involving coding and mathematics.